Oh dear, the sunshine has gone and there is a hint of rain. Mixed agriculture, as we called it in school, looks great on cartons of cream cheese but is messy walking through the farm yards. Yesterday’s new trainers are a little bit muddy today. 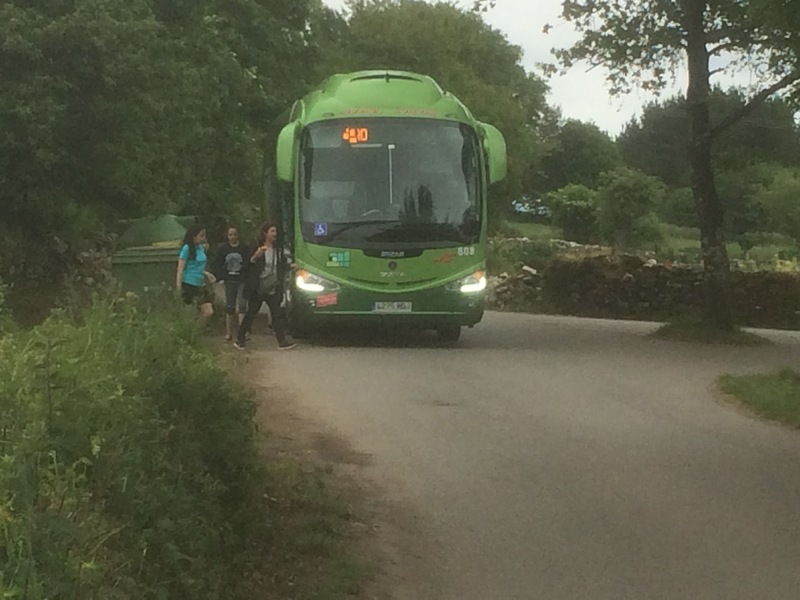 The local bus is busier than you’d expect on a Sunday. Surely those are not the new pilgrims boarding? 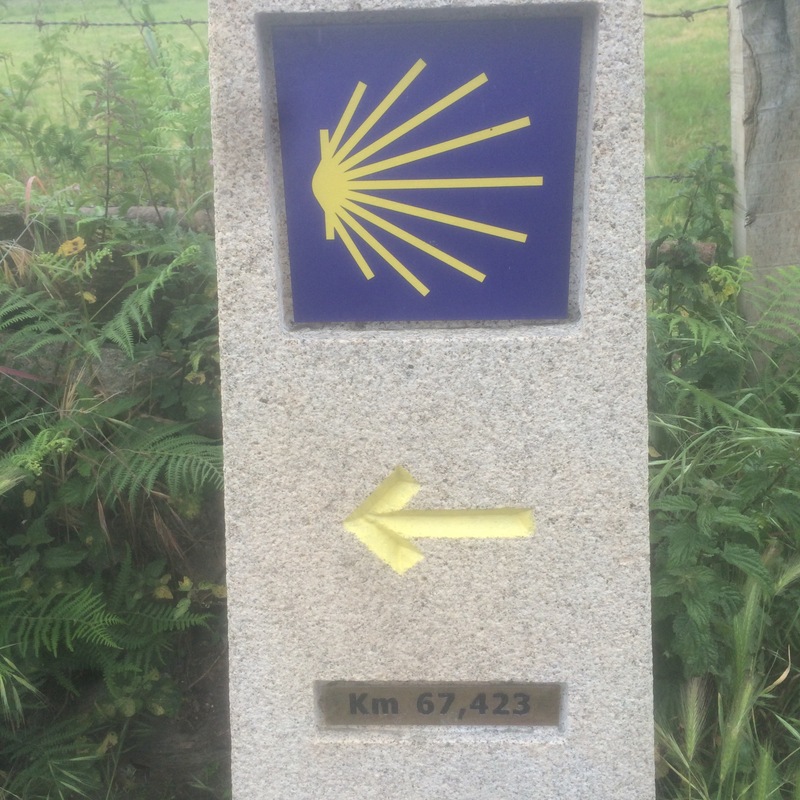 According to the last milestone today there are just 67,423 meters to Santiago de Compostela. It seems a lot but I’ll be there on Wednesday afternoon.